Outdoor decks & patios have been a staple in many American homes since as long as we can remember, and they’re only growing in popularity – it’s estimated that you can find these in as many as 82% of homes in the U.S. And it’s not only a relaxing, aesthetic area that these structures provide – they can also significantly increase a home’s value. It’s no wonder that Americans have a long-standing love for their decks. But when it comes to building a new deck, or updating an existing structure, there’s a lot of questions that come to mind. What type of material do I want to use (a tropical Hardwood vs. a Composite)? What color, and what grain? And while these questions ultimately make up the majority of your decisions, there’s another question that you may not have considered (but is equally as important) – What kind of fasteners am I going to use? Once upon a time, decks were built with standard hardwood planks that were fastened with a special screw designed specifically for decking. But as their popularity grew, so did our options. Up came composite decking material, which was designed to address typical issues with some types of woods. As the innovation continued, we started to get really good at optimizing decks for both comfort, as well as aesthetic value. Eventually, we got so good that we were able to start building decks with no signs of any fasteners at all, all while extending the longevity of the materials used. They work by providing an anchored track for a piece of grooved decking to be slid over, while the track latches in the groove, securing the decking in place. The result is secure planks of decking, with no sign of fasteners on the surface. 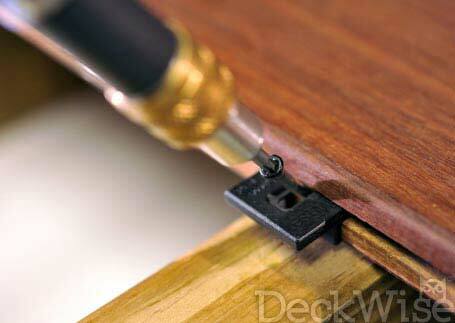 DeckWise hidden fasteners come in 3 different versions, all customized to individual applications. 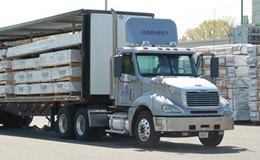 They have different models for Air-dried & Kiln-dried lumber, Composites, and PVC decking, which means they each perform to any of the specific material’s demands. The 3 different models (Extreme, Extreme4, and Extreme KD) all have different leg designs that best allow it to best suit the material it’s used with, as well as the fact that each model offers a specific gap-spacing to, again, provide the best performance for each individual application. Another added feature of DeckWise® hidden fasteners is that they contain a hardened stainless-steel insert inside their polypropylene casing, which ensures that these fasteners will retain their shape, strength, and rigidity. This insert is something you won’t find on all of the competition, but it’s presence is extremely important when it comes to producing a strong, durable fastener. In addition to their different technical components, they also come in 3 different colors (black, brown, and gray) to match a variety of decking colors and accomplish their goal of going by unnoticed. It’s not just (hidden) looks and superior performance that these fasteners provide, an added effect is a significantly increased lifespan on your deck with less maintenance. We know that wood expands and contracts with changes in temperature, and decking is no different – especially when exposed to direct sunlight. 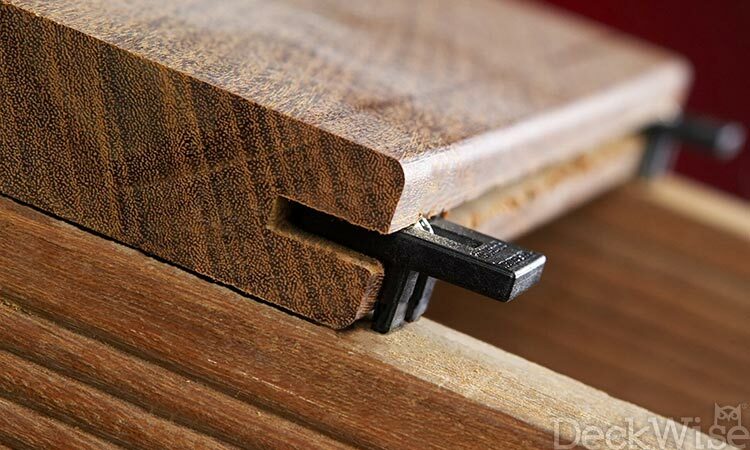 Regular fasteners do not offer the secure movement that hidden fasteners can provide, because they are installed through the surface of the wood, thereby anchoring it in place. By not penetrating the surface, DeckWise® hidden fasteners are able to allow the wood to expand/contract at the rate it needs, without resulting in any structural changes such as bowing or caving. Even further, by not penetrating the wood, these hidden fasteners do not create a potential entry point for water & moisture – which, when introduced, can lead to rot that can greatly reduce the safety and stability of your deck. 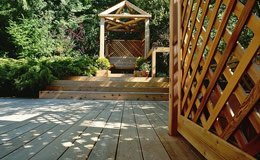 Remember when we talked about how a deck can increase your home’s value earlier? That’s the truth – according to this article, building a deck is one of the best things you can do to increase your home’s value, and re-finishing an existing deck can show up to a 600% return on cost when it comes time to sell. A big factor when it comes to how much a deck might increase a home’s value is how good it looks, and the quality of the components used. Hidden deck fasteners have gained immense popularity since they were introduced to the market, and they look to be moving even more in-demand in the future. The clean, elegant look that DeckWise® hidden deck fasteners are able to offer goes a long way when it comes to sculpting a beautiful deck that will be admired by not only you, but everyone who sets foot on it. • In addition to the seamless look of hidden fasteners, DeckWise® also carries an entire line of wood care, fastening, and decking products for a multitude of applications. It is highly recommended, in order to preserve the life & beauty of your deck, to treat wood with a sealant and provide routine maintenance. • DeckWise.com is an incredible resource for your project specifications, and it includes Installation Guides, Coverage calculators, Wood Suitability charts, and much more.